JEFFERSON CITY, Mo. 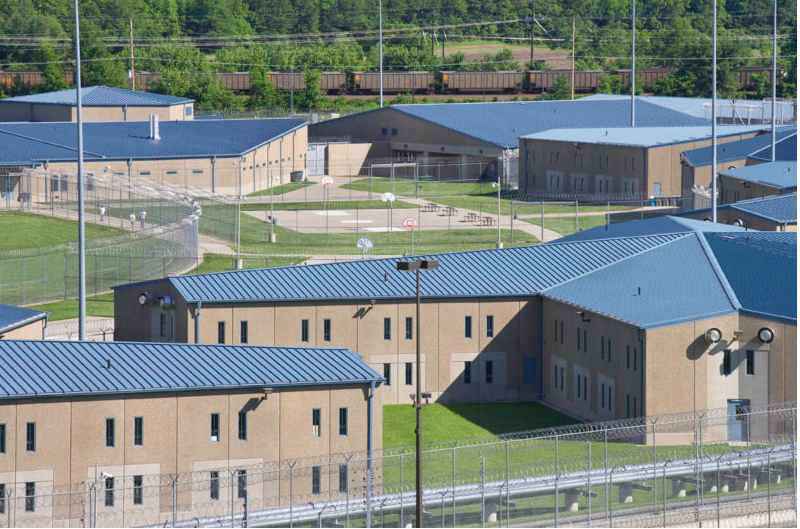 – A Missouri woman is suing the state’s Department of Corrections on the grounds that she shouldn’t be charged for a portion of her jail bill that the state hasn’t paid. The case, which was filed in Cole County Circuit Court earlier this month, has been assigned to Judge Patricia Joyce. At issue is the state’s reimbursements to local county jails for their services. The state pays back counties for a portion of a defendant’s entire time in local jail when the person goes through the court system, with the Department of Corrections being responsible for making the payments. Last summer, the Missouri Times reported that the state owed money to 108 counties and one independent city, amounting to an outstanding balance at the time of more than $18 million. And though the state has been working to pay that debt off, there still remains other issues. That would include the costs to the county if they held someone in jail before they were convicted. That being said, the state places limits on its reimbursements, regardless of the bill sent by the counties. These scenarios, though, are caused by the conviction of someone who broke a state law – not a county law – and the counties simply want the state to pay that back. But a seven-page lawsuit, filed this month by Matthew Mueller, a Kansas City senior bond litigation counsel for the Missouri Public Defender System, points out another issue with the reimbursements. He argues that the fees are assessed against the state, not the defendant, and says that the defendant should not be held accountable for those. Mueller’s suit is filed on behalf of Shanda Ganaway of Canton, who pleaded guilty in the Lewis County Circuit Court back in 2014 on a Class A felony charge of distributing a controlled substance near a school. Mueller first met her when serving as her representation for her probation hearing. Judge Russell Steele sentenced her to 10 years in prison before then suspending the execution of the sentence and placing her on five years of supervised probation, but then determined that she had violated that probation and ordered her to serve the sentence. That led to the bill from Lewis County for her 187 days in jail, with a $38 per day rate totaling more than $7,000. But the Department of Corrections has a rule in place capping the daily amount that can be reimbursed for board rates at the jails, which as of July 1, 2017, was $22.58 per day. Under those rules, Mueller wrote, the Department of Corrections paid Lewis County $3,721.46. On her release from 120 days in the prison’s shock treatment program, Ganaway was told that she needed to pay the outstanding balance, to which she agreed to a $50-per-month payment, later reduced to $25. She was then required to make payments to that cost, though they had been previously assessed against the state. Mueller has asked the County and Judge Steele under what legal authority they were requiring Ganaway to pay this costs, and in his filing, he wrote that Judge Steele has refused to respond to that question. Mueller says that if Lewis County wanted to hold the defendant responsible for those fees, then it never should have sent a bill to the Department of Corrections certifying that Ganaway is insolvent. And it’s not the only case that has been filed in the matter. Mueller has also filed one in Mississippi County, and the ACLU has filed an amicus curiae with both the Missouri Court of Appeals Western District and Easter Districts, arguing that the statute permitting a county jail’s board bill to be taxed as a court cost against a defendant is ambiguous, and that any incarceration for the failure to pay that bill violates state and federal constitutions. Mueller says there could be thousands of Missourians facing this same situation, and that this could incentivize judges to send people to prison as it could potentially be a source of revenue, although a limited one. He says that the trend seems to be limited to relatively rural counties, as this could be a source of funds for the counties. But Mueller also says he has seen legislation seeking to get 100 percent reimbursement rates from the state, which would also negate these types of situations. The case is still in the early stages, with Mueller saying he is in the process of taking depositions. If the case does go to court and the judge rules in favor of Ganaway, it would really only affect the outcome of that case. But if it fails, and it went on to the appellate courts, then it could set a precedent going forward. No scheduled hearings have been set at this time.